The need for growth and repair of our nation’s infrastructure has taken both political and news spotlight as it is central to economic stimulus. 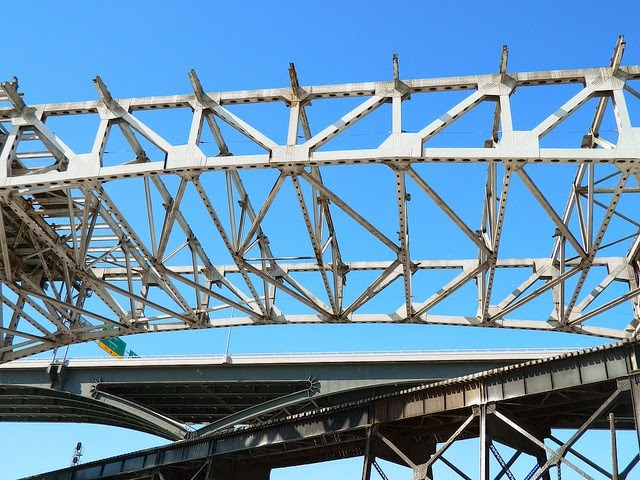 The steel industry has actively advocated reinvestment in our nation’s infrastructure as it supplies materials for steel-intensive projects, requires efficient surface and water transportation to move raw materials, and receives vital steel scrap from many of the major repair projects. One such important project is the George V. Voinovich (formerly "Innerbelt") Bridge. A vital link into downtown Cleveland, spanning the Cuyahoga River on Interstate 90, it provides access to jobs, sports complexes, restaurants and more. 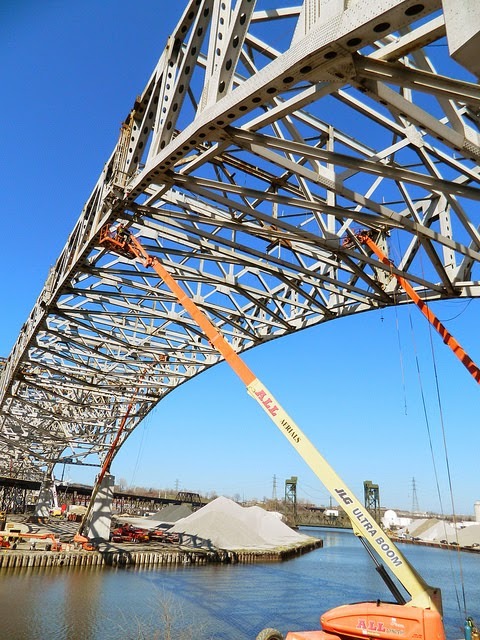 In addition to those benefits, the deconstruction of the old Innerbelt Bridge will yield nearly 40 million pounds of recycled steel. This will help offset costs of the project and bring vitally important scrap back to the North American steel industry. The original bridge, built in 1959, is being replaced by two nearly identical spans, one to carry westbound traffic and a second to carry eastbound traffic. 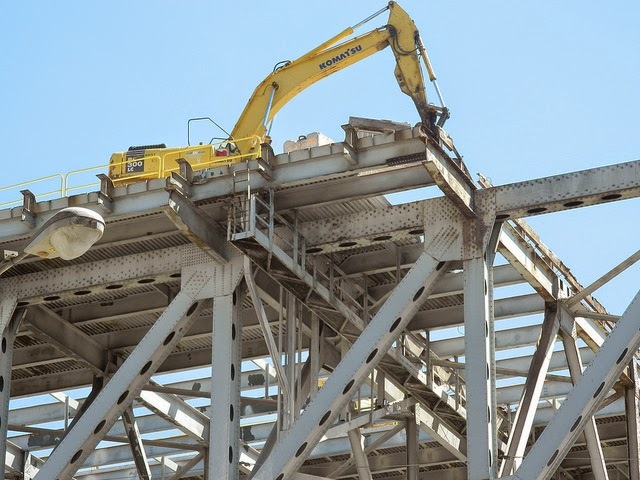 The construction is being overseen by the Ohio Department of Transportation (ODOT) and, at $293 million dollars and more than 500 employees, the construction of the first bridge alone is the largest project in the department’s history. The previous high was $237 million for Toledo’s Veterans’ Glass City Skyway, which opened in 2007. Combined with the demolition of the old Innerbelt Bridge and construction of the eastbound span, the Department will spend upwards of $566 million in Downtown Cleveland in a six year period. A ceremonial groundbreaking for the first new bridge, the westbound bridge, was held in May 2011 and the bridge was opened in its entirety in November 2013. The project has already earned national attention as one of the top 10 bridges in the nation, received the “Environmental Excellence Award” from the Federal Highway Administration (FHWA) and was featured on the cover of “Roads & Bridges” magazine in 2012. The focus on environmental responsibility extends across the entire city. The Cleveland mayor Frank G. Jackson created “Sustainable Cleveland 2019” which is a 10-year initiative that has the goal of designing and developing a more resilient Cleveland region. In fact, during the first phase of the project, ODOT used the Federal Highway Administration’s (FHWA) INVEST tool to score the project in terms of sustainability - achieving a gold standard though its use of steel, which is both recycled and recyclable. 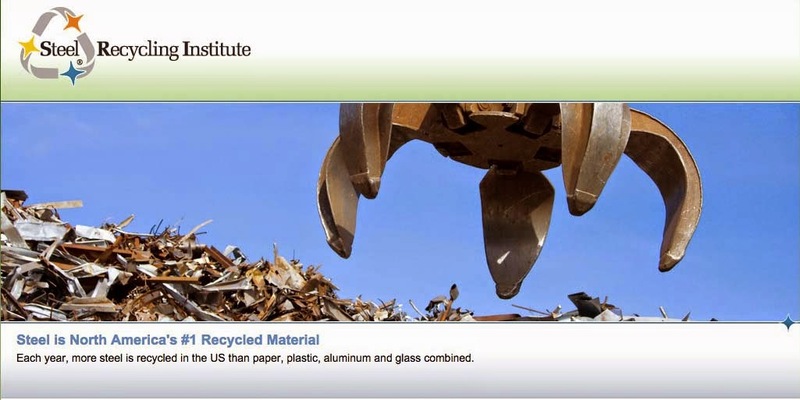 INVEST scores on a variety of topics including life-cycle cost analyses, recycling of materials and energy efficiency. Steel, in addition to its strength and durability as a building material, excels as a sustainable material choice for infrastructure projects. The second phase of this project, including the demolishing of the 1959 bridge and construction of the eastbound bridge in its place, is expected to be complete during the fall of 2016. The demolition will be done by the Trumbull Corporation, The Great Lakes Construction Company and The Ruhlin Company. The bridge was designed by URS Corporation. Areas around each new bridge will additionally be enhanced with public overlooks, green spaces, biking and walking facilities, additional parking, public art, community gardens and more. The new bridges are just one part of a larger renovation to the Innerbelt infrastructure including additional new ramps and roadways. Cleveland is investing in itself, its economy and the environment through the modernization of its infrastructure, including the use of steel.